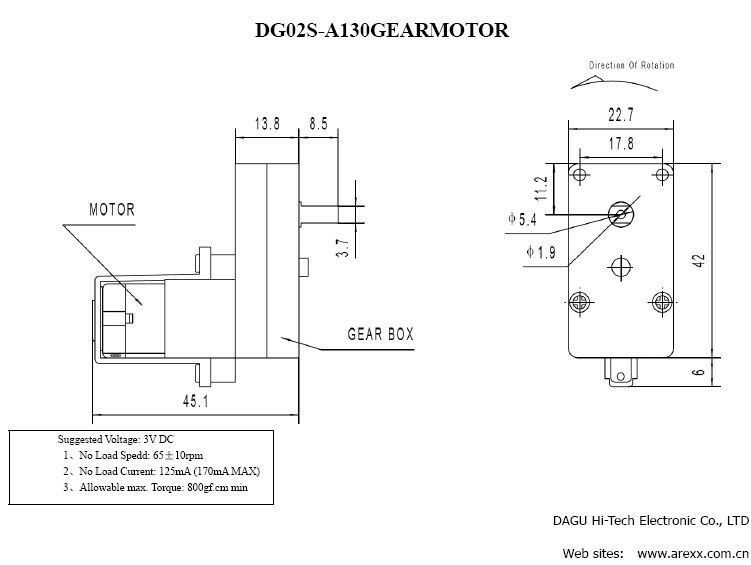 Description: These are a pair of right angle, hobby gearmotors from DAGU. These gearmotors are the same ones utilized in the Magician Chassis and RedBot Kit and offer a cheap and easy to use setup to get your wheels turning. Due to these gear motors being at a right angle, you will also be able to track and control the rotation of your wheels!